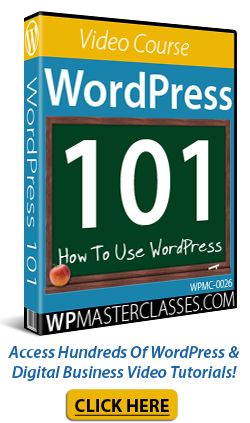 In Part 1 of this article, we looked at some of the reasons why WordPress is an ideal platform for marketing your business on social media. Search, find, segment, filter and organize users according to demographic criteria, their interests and behavior, etc. With this information, you can start meaningful conversations with a targeted audience and pitch them your message. Let’s move on now to some of the actual tools and applications you can use for monitoring social media activity. If you are looking for cost-effective ways to improve your business results with social media, then check out this list of 30 social media management tools and resources for discovering and engaging with your audience. Google Alerts is one of the simplest and most useful tools available online for keeping up with the latest news about all kinds of topics, staying informed about people and companies, and tracking what other people are saying about you and your business online. Google Alerts is also free. Google Alerts is not only only a useful tool for managing your reputation online, but also for automatically sourcing information about people, companies, or any other subject you are following. 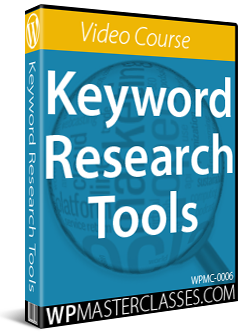 With Google Alerts, you subscribe to a keyword or topic and you’re done. Whenever Google’s indexing robots crawl a new web page, press release, news update, blog post, a tweet, video, or any other content related to that topic, you will automatically receive an email or RSS update. Hootsuite is a social management application that lets you manage all of your social profiles from a single dashboard. Hootsuite provides social media management, social selling, social marketing, and social customer service solutions. Users can schedule Tweets and Facebook posts, monitor conversations, create and customize analytics reports, streamline workflows amongst teams, departments, or regions, assign tasks, receive real-time notifications, have internal conversations, and collaborate with teams. Hootsuite is one of the most used social media management tools (SMMT). 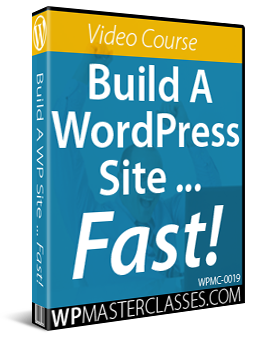 It allows you to post to a large number of social networks, and offers integration with Twitter, Facebook, Google+, LinkedIn, Foursquare, WordPress and more. Buffer lets you schedule your social content. You add updates to your Buffer queue and Buffer will post it for you at spaced out intervals over the day. Buffer allows you to schedule updates for a day, week, or month. Scheduling times are preset, but you can change these in your settings. In addition to a web interface, Buffer also provides mobile apps and a web browser extension. SocialMetrics is a WordPress plugin that lets you monitor social signals from leading social networks like Facebook, Twitter, Google+, StumbleUpon, Digg, Pinterest, and LinkedIn. Some of the powerful features included in SocialMetricsPro include Excel-like conditional formatting, built-in and external widgets, sort, search and filter data, export data capabilities, one-click autoupdate functionality, and a simple social SEO improvement system. Sociocaster is easy to use and works in any business marketing campaign. You can easily manage your social media networks, schedule messages, engage your audiences, and measure ROI from one easy-to-use dashboard. Sociocaster includes lots of powerful social and marketing features: a powerful visual designer, the ability to spy on your competitors, opt-in marketing tool, unlimited social account management (agency license), and much more. SproutSocial is a premium tool aimed at small to large businesses as well as the enterprise sector. SproutSocial has a built-in Customer Relationship Management system, advanced scheduling tools, social monitoring, support for teams and multiple profiles, helpdesk for customer support, team collaboration tools, permission levels and roles, reports and analytics, mobile apps, RSS feed integration, etc. SocialReport is an all-in-one social media management and reporting tool that lets you track and manage all of your social media accounts from one place. It tracks the performance of your Facebook pages and Twitter profiles, business reviews, website performance and blogs, and returns data from your social channels on a simple and intuitive dashboard. You can quickly and easily organize data by business or customers, and track your own social profiles as well as competitor profiles. Followerwonk is a Twitter analytics tools that lets you search Twitter bios to connect with anyone, breakdown your followers by social authority, tweet count, follower count, view interactive charts of new followers and unfollows, contrast your relationships with your competitors and friends, and explore and grow your social graph..
ManageFlitter lets you sort followers and following lists using a range of criteria, post tweets at the best time to reach your followers, search twitter bios to easily find and follow the right accounts for your business, use tweet analytics to track keywords and beat your competitors, manage follows and unfollows, and more. Beevolve is a social monitoring tool designed for SMBs, analysts, content marketers, online marketers, and community managers. Beevolve lets you monitor your brand mentions, schedule and launch social media posts, and measure resulting sales, conversion, and engagement metrics, sentiment, social buzz, and more of posts. HowSociable is a simple social media measuring tool that allows you to see brand mentions on the social web. HowSociable displays brand viability metrics. It delivers you a “social magnitude” score that lets you know how well you are doing on social media. Mention provides social media monitoring for all kinds of businesses, agencies, CEOs, marketers, etc..
Mention’s algorithms take billions of data points into account, so when someone mentions your brand online, you have real time actionable data that can help you with your business goals. Mention can also be used for collaborative monitoring (assigning mentions to different team members and sharing alerts), and provides apps for both desktop and mobile devices. 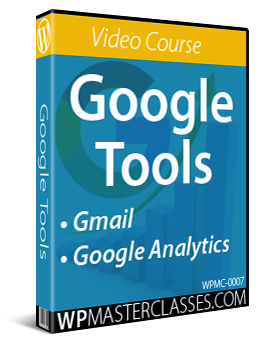 Google Analytics is not only a great analytics tool, it can also help you track social media activities. Visit the Hootsuite blog to read a 6-step tutorial on how to track your social media links with Google Analytics. Facebook not only lets you add share, follow, and like social media buttons and commenting features to your site, it also provides a comprehensive analytics tool called Facebook Insights. This tool lets you understand how your site is performing on Facebook’s platform. Facebook Insights can help you see when users are on Facebook. This helps you improve your marketing efforts. You can use Page Insights to see which of your posts are attracting the most comments, likes, and shares and to learn about your audience demographics. You can then use this data to publish relevant posts when your ideal audience is on Facebook. Twitter Analytics let you see how your content is performing and provides a monthly break down of your tweets, followers, profile views, tweet impressions, and tweets linking back to you. The Twitter Analytics dashboard also provides you with useful information about your tweets in the form of Tweet highlights, allowing you to plan your Twitter strategy. You can track traffic sources, visitor demographics, views, earnings from video playbacks, average video viewing time, etc. Pinterest Analytics helps you explore metrics about the people who engage with your business, what people like from your profile, what they save from your website, what devices people are using, and how much traffic your site gets when you pin new content. With Pin insights, you can get information that helps you learn who your audience is and what they want. With the explosive growth of social media predicted to continue rising, many new tools and technologies are being developed to help business engage and make sense of social data. The list below contains a number of other social media-related tools and services. Keep in mind that new web technologies change. If any of the tools below change, please let us know. A task management tool with a social twist. Create personal and professional lists and share your lists with friends, colleagues and family. SDL acquired Alterian and transformed it into an all-in-one global web experience management solution that allows you to create engaging digital experiences with online consumers. Create social Q&A communities. The Answerbase Q&A Platform allows users to ask questions, browse Q&A content, and get their questions answered. Appinions is a content marketing and live publishing SaaS platform that lets you plan, create and distribute content online. Appinions’ deep data science patent protected technology allows customers to optimize every stage of the content marketing lifecycle. The ScribbleLive acquisition enables brands to view the web through the lens of people’s opinions. The software provides answers to content marketers’ questions like ”who should we listen to or partner with?”, ”what keywords do we use to make our content more easily discoverable?”, etc. Viralheat runs a powerful data analytics application that delivers insights from social media analytics. It is a highly scalable social media analytics and management platform. Viralheat offers predictive social analytics and a comprehensive social media management stream combining monitoring, publishing, analytics and reporting for all major social networks in an intuitive interface. Users can access metrics and KPI, track conversations, publish and schedule updates, and deliver presentation-ready reports. Bambuser lets you broadcast live using your webcam or mobile device, share to your favorite social network or blog and interact with viewers. Share via your smartphone and stream to your blog. BlogDash brings brands and bloggers together. Bloggers choose the kinds of opportunities they would like to be contacted about. Brandwatch Analytics is a powerful social media monitoring and analytics platform that allows you to collect, analyze and report on your social media data. Buzzflash is part of the Truthout community – an independent platform for transformative ideas featuring daily headlines whose goal is to inspire direct action and participation. CircleCount is a Google+ education tool. CircleCount lets you discover all of the Google+ circles in which you are included. If your profile isn’t already being monitored on CircleCount.com, you can easily add your GooglePlus profile and it will start tracking your circles. Contax.io lets you track your friends and followers on Twitter and other social networks and manage relevant, real-time relationship data. With Conversocial you will never miss another comment about your brand. Conversocial lets you manage the flow of customer service enquiries and social media discussions on channels such as Twitter, Facebook, YouTube and Instagram. Social Studio lets you understand which topics are generating interest and where the most influential conversations are happening on social media, and use that information to make informed business decisions. Disqus is a free service that facilitates the growth and spread of online communities through blog comments and discussions. Disqus is used by millions of websites covering just about every topic imaginable. Echofon provides users with social apps for Facebook and Twitter. Echofon apps notify you of mentions and messages. Echofon for Twitter means you’ll never read a tweet twice by avoiding duplicate alerts on different devices, makes sharing media simple, and Echofon for Facebook provides simple, streamlined navigation and an uncluttered Facebook experience, browse your newsfeed and timelines, comment and like with ease and post photos or videos. Everytime is a collaboration app for creatives. If you work with audio, videos, or images, you can save moments from Youtube, Vimeo, Soundcloud and any media on your computer. Those moments can then be easily shared, discussed, and found online using social collaboration. Meltwater IceRocket is a social media search engine which lets you search the blogosphere, Facebook, Twitter, or all of these for any keywords you like. GroupHigh is a blogger outreach tool that lets you filter, sort, and search to find and prioritize your blogger outreach based on which bloggers are active and building communities on popular social networks. GroupHigh makes it easy to build a list of bloggers based on location, topics, content, and more. Klout is a website and mobile app that helps you analyze user’s social media influence via the “Klout Score”, which is a numerical value between 1 and 100. You can use Klout to suggest shareable content that your friends, fans, and followers haven’t seen yet, and track how retweets, likes, and shares affect your Klout Score. Know About It is a simple service that monitors popular news sources for stories that are generating a lot of conversation. The stories are gathered from the KnowAboutIt system from the past 24 hours, and are ranked by the number of comments that the stories attract. LiveFyre lets you capture conversations from the social web. Tailwind is a social media monitoring application designed specifically for Pinterest users. Tailwind lets you schedule pins, monitor Pinterest, analyze industry trends and measure results. ViralWoot helps you gain more Pinterest followers, add pins for promotion, manage and grow multiple accounts, schedule pins with a bookmarklet, track what people are pinning from your website, who is pinning the most and what images from your website are trending on Pinterest with pin alerts, find which are your top performing boards and pins, connect with influencers, and more. TweetReach allows you to measure the reach of your tweets for hashtags, your selected keywords, and search queries. TweetReach shows you the estimated potential of the tweets for your given query. Keyhole is a real-time social media search monitoring service that lets users track keywords, URLs, and hashtags on Twitter and Instagram. Analytic results are displayed to users in an easy to understand visual reports. Riffle integrates with every Twitter platform (SocialEngage, SocialFlow, Lithium, etc) and provides you with insight into the current and potential value of Twitter users, engagement, interest, and activity tracking tools. It integrates with most popular Twitter platforms allowing users to easily add it into their existing social media activities. Merchii lets you link online merchants, bloggers, and consumers by tagging images on the web. Merchii provides a financial incentive for creating social engagement. Approved users can earn money from every purchase made. MutualMind provides a complete social data platform that lets you monitor, analyze and engage with social media. One web-based solution provides users with all the tools they need to display data on collaborative screens, detect trends or moments in social data and instantly route insights back to the enterprise. PageLever, a leading Facebook analytics company, was acquired by Unified Social in January 2013. Since then, Pagelever’s comprehensive, real-time reporting has been integrated with Unified Social’s operating platform. These tools form a complete marketing suite allowing top global brands and agencies to aggregate, warehouse and activate their social data. Refollow lets you find a targeted audience, measure and manage your social media presence. RetweetRank lets you get insights into your tweets, track engagement and monitor your brand. Searchmetrics provides enterprise-level social and content marketing solutions and SEO/social media analytics. SimplyMeasured lets you analyze and understand competitors, conversations, and the audiences that matter to you across every social channel. SocialBakers delivers powerful social media analytics that let you see how your social performance stacks against wider industry benchmarks and the competition. You can create, manage, and optimize all of your Facebook and Twitter ads in one place, quickly identify your best content and top posting times, gain powerful insights about your audience, and track long-term brand performance. Synthesio is a social intelligence and social listening tool. Synthesio provides scalable monitoring and analytics solutions to hundreds of agencies and leading brands around the globe. Users can cut through social noise, listen into the conversations that matter, measure their online reputation, manage their consumer relationships and boost their social activities’ ROI. Sysomos provides powerful social media analytics that lets you monitor, analyze, gather insights and make decisions aimed at creating better services and products for your customers. Type in your keyword and instantly see what people are saying both historically and in real-time on any topic across all social networks. Discover influencers, find new and related topics, and gain valuable insights into communities that matter to you. ThisMoment helps businesses engaging with everyone everywhere. Depending on your business, ThisMoment’s Content Cloud helps you to find, mix and share a variety of content through many channels across the Enterprise. Trackur provides simple, fast, and affordable social media monitoring. Trapit is lets you easily support your sales enablement, social selling, and employee advocacy efforts by providing relevant content to your employees. With the click of a button, teams can share content with their customers, social networks, and prospects. Followadder provides users with automated Instagram management tools. It lets you get real Instagram followers, real photo likes and comments, schedule posts, follow/unfollow Instagram users, like back photos, automate photo likes and direct messaging, create lists, search by hashtag, and more. You can think of Twellow as being like the Yellow Pages for Twitter. You can search hundreds of relevant business categories, or your geographical area for followers on Twitter. TwentyFeet was acquired by SumAll, and provides users with a powerful social reporting tool that lets you visualize your Twitter, Facebook, YouTube and Instagram accounts along with any other social service you use. 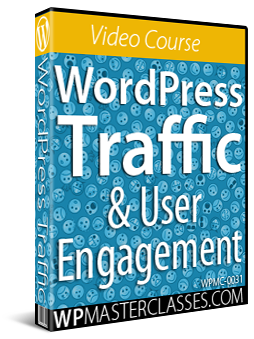 You can quickly learn which of your posts, tweets, videos or photos get the most engagement. Twitterfall is based in the UK and lets Twitter users access upcoming trends and patterns posted by other Twitter users. Wajam is a tool that gives you search results of what your friends are sharing on top of your normal search results. Instantly create a page that displays the latest buzz on any chosen topic. Bitly can help you optimize content, analyze social media engagement, and measure how you’re spending your budget. My Top Tweet displays your best performing tweets. Twazzup provides real-time analytics and monitoring for Twitter. We hope that you have found this information useful. 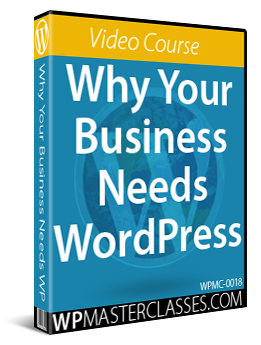 To learn more about the benefits of using WordPress to grow your business online, please see other articles and tutorials we have published on this site.